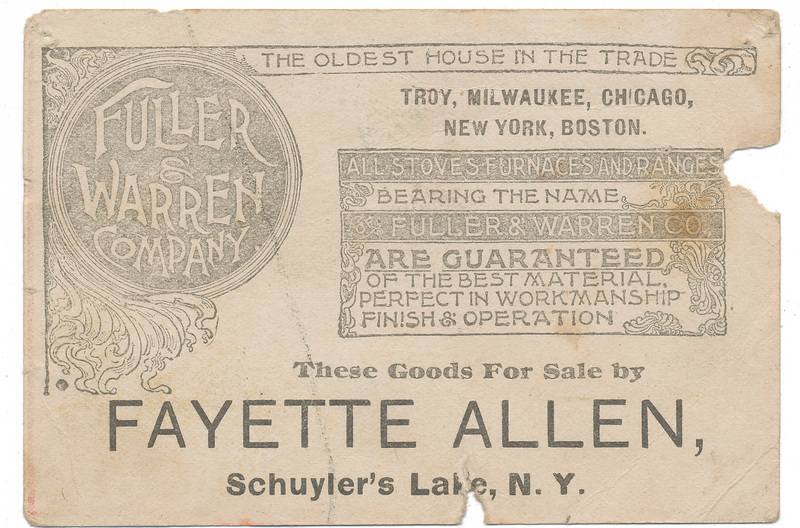 Trade card advertising Fuller and Warren stoves and furnaces, as sold by Fayette Allen, Schuyler's Lake NY. Found in "The Rover of the Andes" by R.M. Ballantyne. 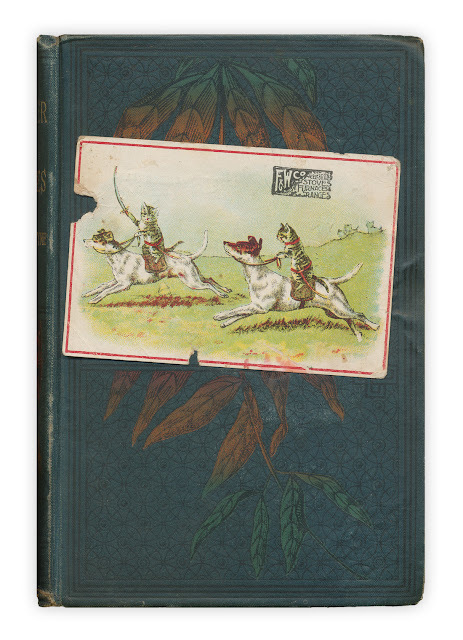 Published by Thomas Nelson, 1885. Perhaps I am simply missing the connection between furnaces and cats using dogs like horses, but with an awesome image like that, does it really matter? Love it!